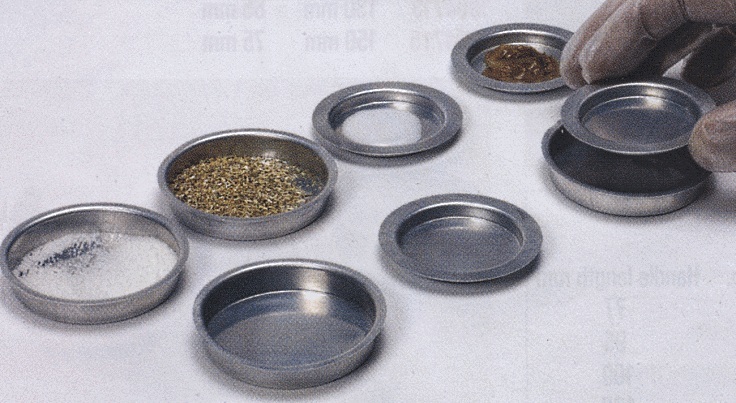 A comprehensive collection of smaller bowls, dishes, basins, combustion and weighing boats, bowls, cups, evaporation Dishes, stainless steel Petri dishes and trays. 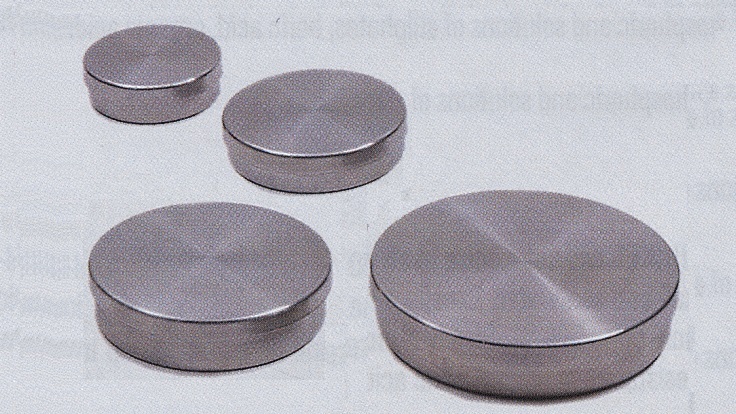 Many of the stainless steel items are useful in medical laboratories and hospitals. 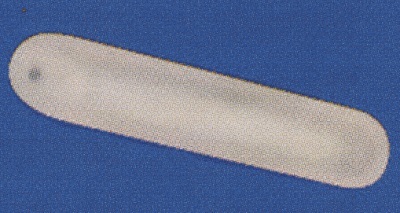 Some items are available in nickel or porcelain. For other smaller dish or cup like containers in the 15 to 140 ml volume range look for Crucibles. Larger sizes of baths, stainless steel beakers, bowls, buckets, cups, dishes, jugs and trays are also available. 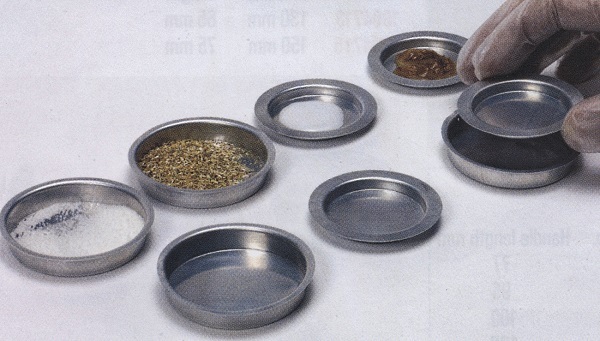 For other smaller dish or cup like containers look for Crucibles or Mortar and Pestles. 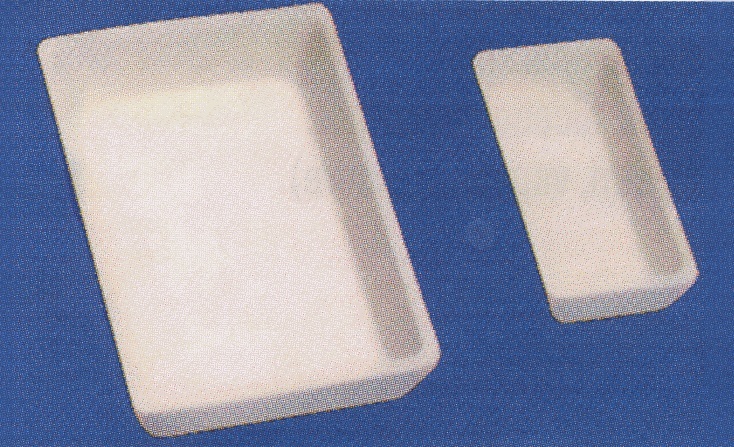 5310001 Glazed porcelain trays, bottom length 42 mm, bottom width 17 mm, top length 50 mm, top width 28 mm, height 15 mm. 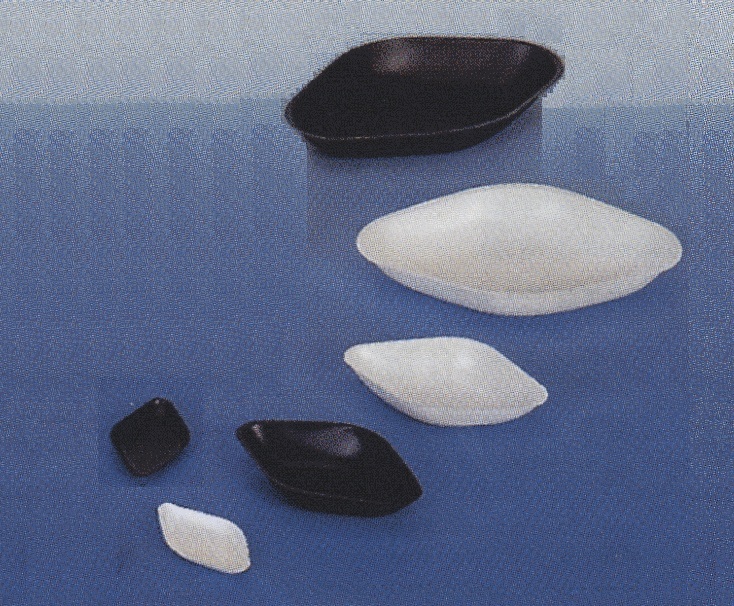 5310005 Glazed porcelain evaporation basins or dishes, round bottom with spout, capacity 35 ml, base diameter 25 mm, outside top diameter 60 mm. 1009160 Stainless steel flat bottom basin, volume 40 ml, diameter 60 mm, height 25 mm. 1009170 Stainless steel flat bottom basin, volume 60 ml, diameter 70 mm, height 25 mm. 1009180 Stainless steel flat bottom basin, volume 90 ml, diameter 80 mm, height 30 mm. 1091100 Stainless steel flat bottom basin, volume 180 ml, diameter 100 mm, height 35 mm. 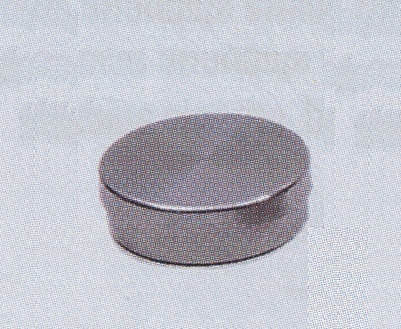 1019160 Nickel flat bottom basin, volume 40 ml, diameter 60 mm, height 25 mm. 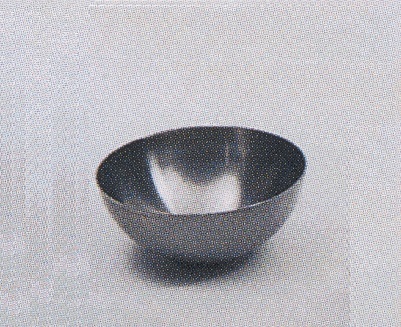 1019170 Nickel flat bottom basin, volume 60 ml, diameter 70 mm, height 25 mm. 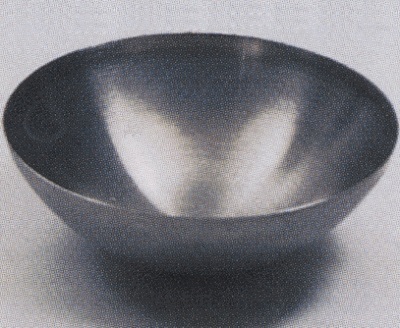 1019180 Nickel flat bottom basin, volume 90 ml, diameter 80 mm, height 30 mm. 1191100 Nickel flat bottom basin, volume 180 ml, diameter 100 mm, height 35 mm. 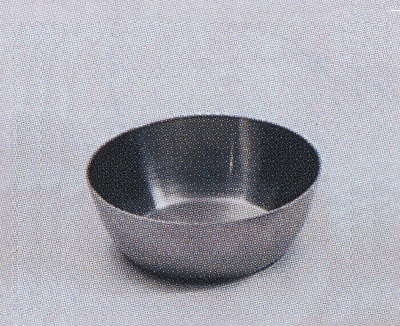 1009260 Stainless steel evaporation basin or dish, round bottom, volume 35 ml, diameter 60 mm, height 25 mm. 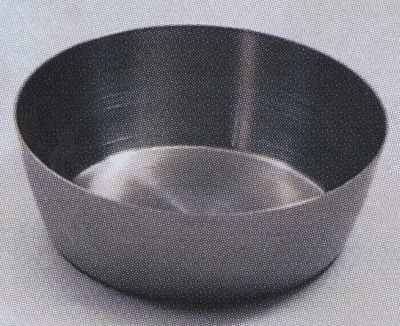 1009270 Stainless steel evaporation basin or dish, round bottom, volume 50 ml, diameter 70 mm, height 25 mm. 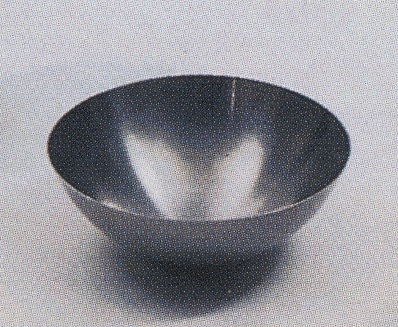 1009280 Stainless steel evaporation basin or dish, round bottom, volume 75 ml, diameter 80 mm, height 30 mm. 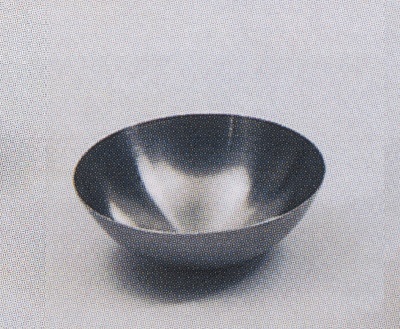 1092100 Stainless steel evaporation basin or dish, round bottom, volume 125 ml, diameter 100 mm, height 35 mm. 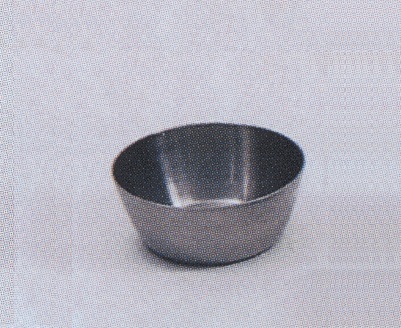 1019260 Nickel evaporation basin or dish, round bottom, volume 35 ml, diameter 60 mm, height 25 mm. 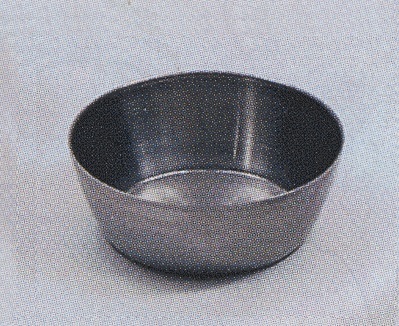 1019270 Nickel evaporation basin or dish, round bottom, volume 50 ml, diameter 70 mm, height 25 mm. 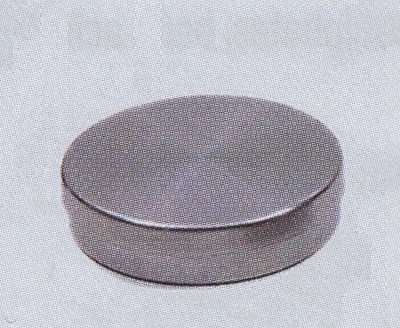 1002126 Stainless steel Petri dish with lid, volume 50 ml, diameter 60 mm, height 20 mm. 1012126 Nickel Petri dish with lid, volume 50 ml, diameter 60 mm, height 20 mm. 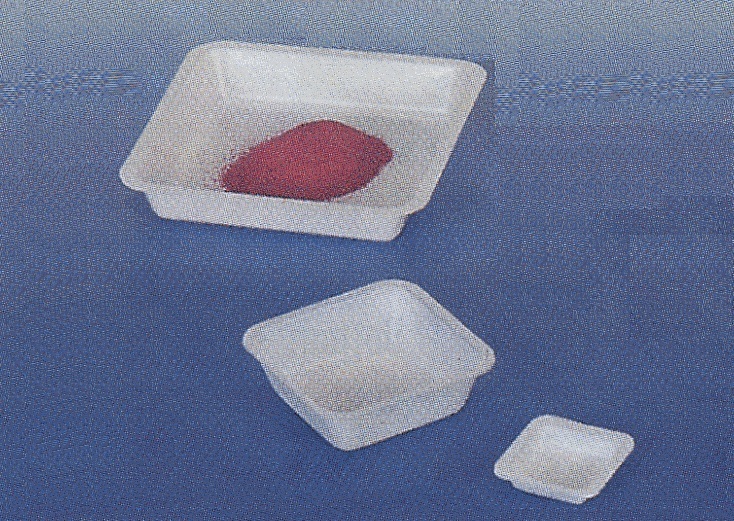 1012128 Nickel Petri dish with lid, volume 90 ml, diameter 80 mm, height 20 mm. 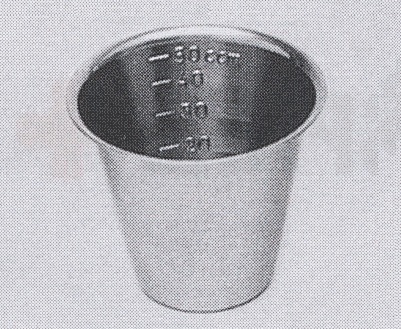 8085530 Stainless steel graduated medicine cup, capacity 30 ml. 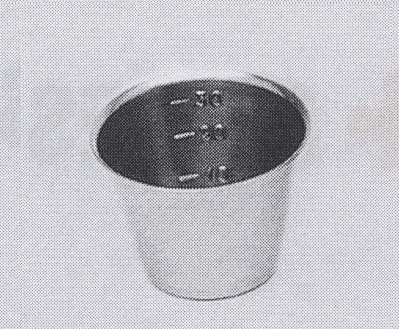 8085531 Stainless steel graduated medicine cup, capacity 50 ml. 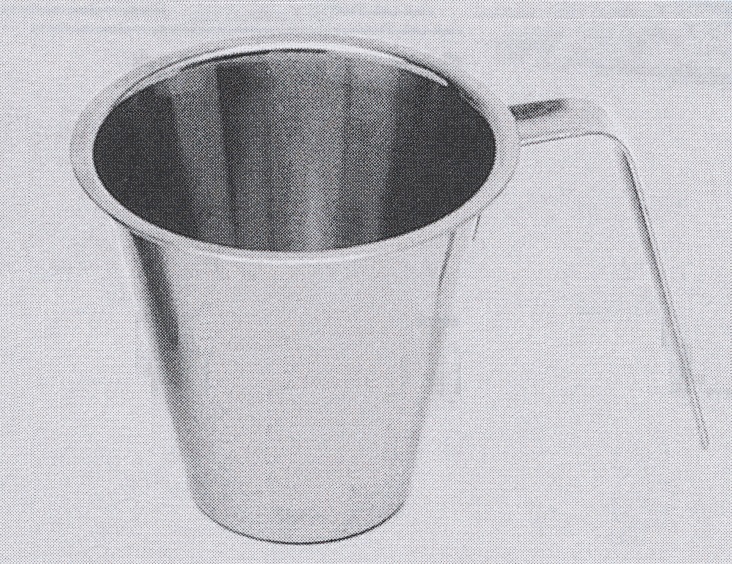 8085532 Stainless steel medicine cup, no graduations, with handle, capacity 300 ml.